After her Golden Globe nomination for All the Money in the World, which depicts the 1973 kidnapping of John Paul Getty III, actress Michelle Williams tells us why she decided to tackle the role of Gail Harris and what she loved about working with director Ridley Scott. 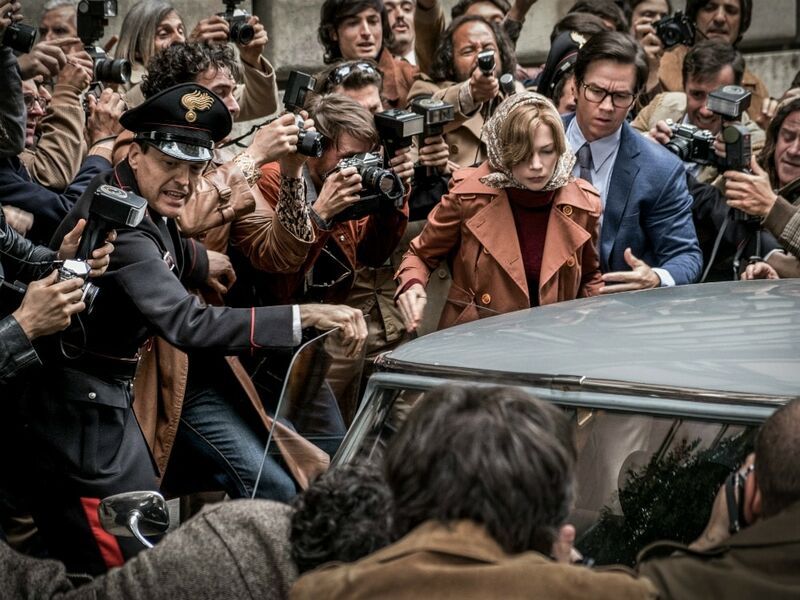 Michelle Williams and Mark Wahlberg star in TriStar Pictures' All the Money in the World. He gives you room to grow and room to find out what you want to do and discover and play, but if you ever need him he’s right there with a really firm boundary. The thing that I loved so much and got so excited to come to work for in the morning, is that he’s full of ideas, he’s full of surprises. He’s the kind of guy who, if the scene is a path, at some point, either intellectually or physically, will throw something on the path that then you’re going to have to deal with and it makes it exciting and it makes it real because you feel like you’re really living moment to moment because he’s added risk into the game. Director Ridley Scott (right) with Michelle Williams, Mark Wahlberg and crew on the set of TriStar Pictures' All the Money in the World. There were a few books that I read that were wonderful. There were a few clips of Gail herself that I spent a lot of time with watching on YouTube and listening to her. That was probably the most as far as research goes, the most important piece for me. There’s a lot of information in how she holds herself and how she speaks and what her dialect is. But all of it came together when I started working, and with Ridley’s incredible team. I have so much respect for her. As a woman and as a mother, she managed to keep herself together and not crumble under the circumstances, and did whatever it took to get out of bed every day, problem solve every day, deal with new information, new circumstances that would come her way, all with the go constantly insight, never wavering to get Paul home safely. She was such a fighter and managed her way through a man’s world.